Windows XP has a built in security center that monitors the activities or existence of Automatic Updates, Windows Firewall and virus protection provided by third party anti virus software. 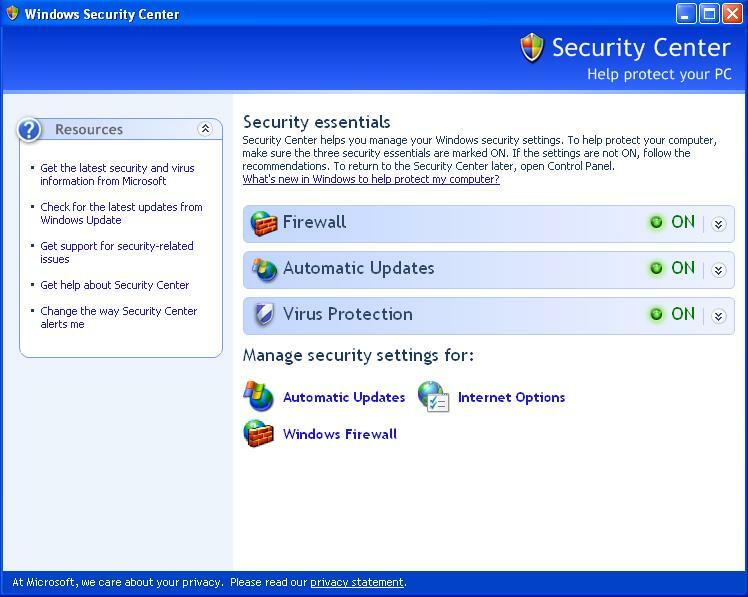 When one or more security component do not been installed, or been disabled or turned off, or not working, Windows Security Center will highlight the section in yellow or red for warning and critical attention. Security Center service will also pop up a warning message with red or yellow icon that your computer might be at risk at notification area (system tray). Select Administrator Tools (if you don’t see it, double click on Performance and Maintenance first). Find and double click on the service named Security Center. Alternatively right click on Security Center, and select Properties on right click menu. In the General tab, beside the Startup type:, change the setting from Automatic to Disabled. This will permanently disable Security Center forever, even after you reboot and restart the computer system. 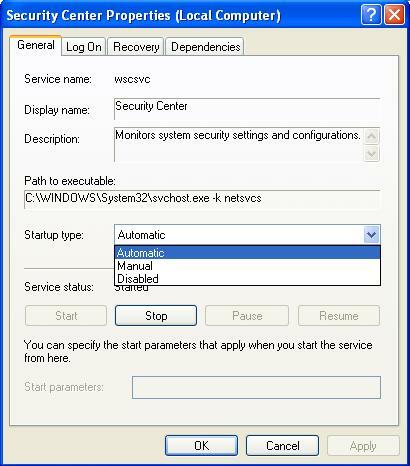 The click on Stop button at the bottom of the dialog window to stop Security Center immediately during current log on session. To enable or turn Security Center back on, simply select Automatic at step 5 above. If you want to run Security Center for a while or immediately after set to “Automatic” as Startup type, click on Start button.